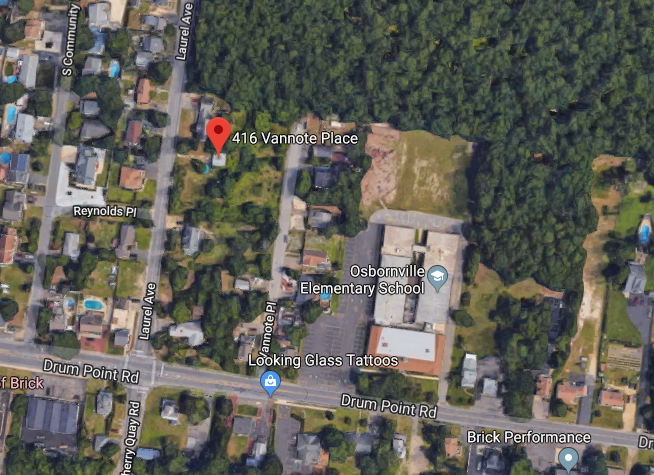 A construction company that owns a plot of land in a Brick Township neighborhood is requesting the property be divided into five separate lots where homes can be built. The parcel is located at 416 Vannote Place, the terminus of a residential street off Drum Point Road. Agar Construction Company has applied to the township’s Board of Adjustment to have the property subdivided into five single-family building lots. The company will seek a variance for frontage on a 35-foot wide roadway rather than the required 50-foot width, as well as minor site waivers. The preliminary major subdivision plan will be the subject of a public hearing at the board’s Dec. 12 meeting, which will begin at 7 p.m. at the township municipal complex. This is a separate meeting from the planning board meeting that will also be occurring at town hall on the same night, where the proposed redevelopment of the former Foodtown site will be discussed (see separate story). The township’s planning and zoning boards have different jurisdictions based on the type of land use issues pending approval in an application.